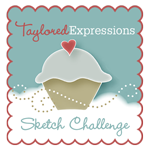 Its that most wonderful time at Taylored Expressions - a new release week peek starts today! I am so excited about this release - seriously awesome!! Taylored Expressions will be celebrating Release Week with some Fabulous Giveaways!! 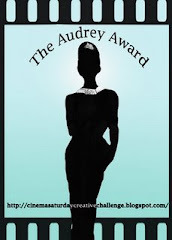 Visit the TE Blog each Sneak peek Day this week for Details on how you can enter to win!!! For my first project, I am showing some new dies that Taylor will be releasing that seriously is going to make it extraordinary to give gifts with a handmade flair!!! Here is a Small-Hinged box (altoid tin) that was decorated using a couple of fun dies!!! I love these photos taken by one of my dearest soulsister friends of our family when my parents were in town. I want to use this for our December Holiday Cards so I made a layout using these photos. I used the DoodlebugDesigns: Frosty Friends paper collection which was the perfect papers to coordinate with the colors of our dresses in the family picture - how perfect!!! I used the Pockets and Pages Essential collection (to die cut the pictures and the designer paper I also used the Mini Borders above the pictures. I also used the new Pockets and Pages Medallion Showcase and P & P Banners with Bonus die that has the word "Dec" die cut on it. Love these dies - it makes it so easy to write journal entries, cut out pictures in fun patterns and create easy layouts! I loved making these projects and all of the projects that are going to be sneaked this week! OMGosh so so so much fun!!! Thanks so much for stopping by today! 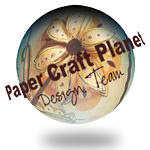 Please hop on over to the TE Blog to see all the designers who have created some amazingness with these new dies, stamps and papers!!! Please hop on over tomorrow for more crafty fun! Wow great projects you created with the new releases! 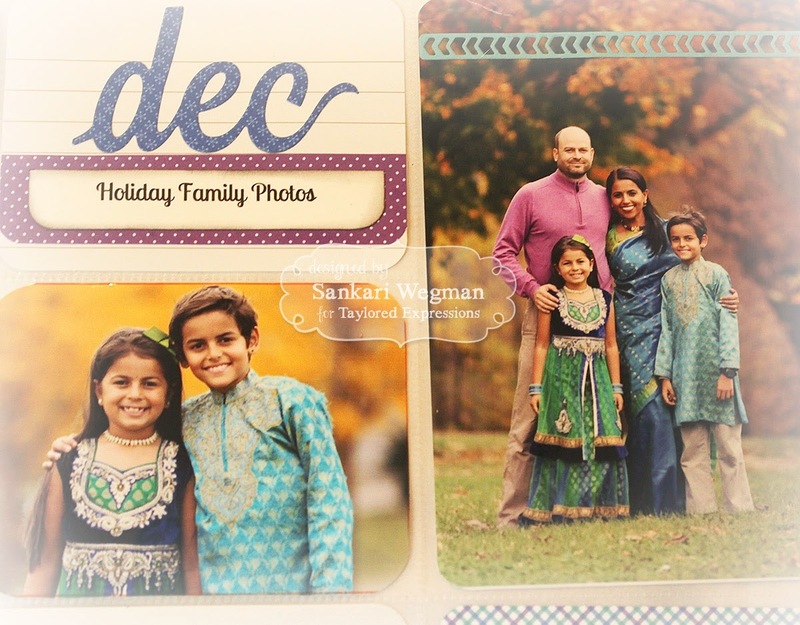 Love the layouts - your family photos are fabulous! What a beautiful family. Also loved your tin! Gorgeous layout. I love the decorated tin with the earring stand. Very cool. 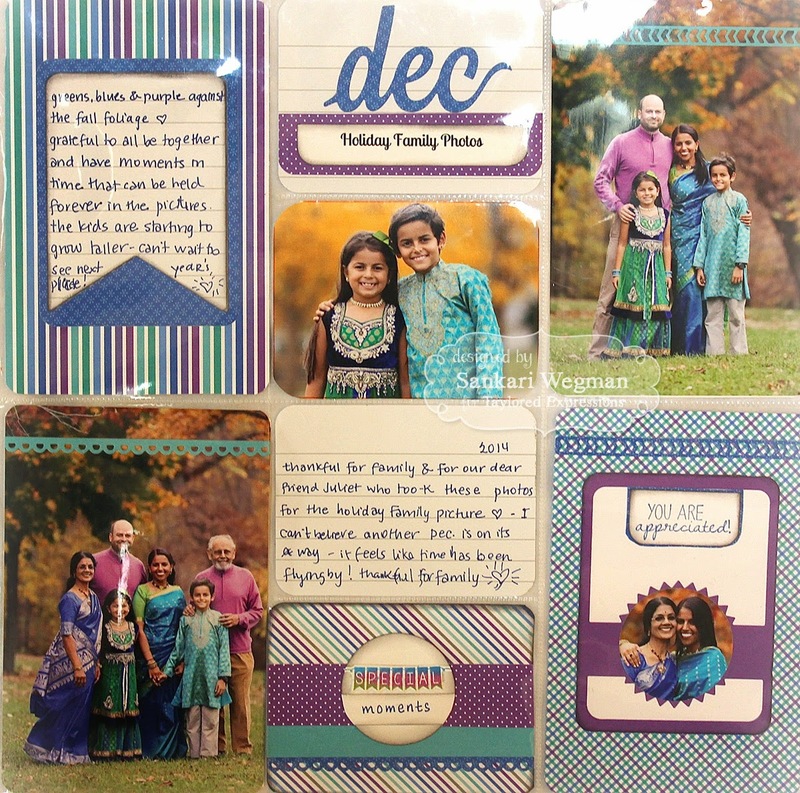 Gorgeous layout...the inserts look so great next to what your beautiful family is wearing. Love the sari and the other indian outfits!